Well another week has come and gone and still our newest addition has decided she's not quite done yet. So we continue to anxiously await, with a certain nervous excitedness, her arrival. It won't be much longer now. Hopefully by the end of the weekend we will have the news posted somewhere, everywhere. Wouldn't that be fantastic. We like to think so, and I know you all think so too as you all wait patiently with us. Until that time though, here's something else to get all excited about...Yep that's right, another edition of the FGR. If we can't have a baby yet, let's win some gear instead. First up is a sweet giveaway. We all love to keep our tootsies nice and toasty warm, especially on these cold winter morning, when there's frost on everything. Well for the next week, you have a chance to get entered for a prize pack of 12 pairs of Goodhew socks. That's 12 pair of their best selling socks. If you remember correctly Robin won two pair along with her Vasque Taku GTX from the Outdoor Blogger Network and even did a review on them. These are great socks, and the good folks over at The Adventure Post, will hook up one lucky winner with 12 pairs. You can enter with a comment, or tweet daily and there's another bonus entry you can get if you say something about it on Facebook. You have until December 16th to get those comments in, so don't delay. Head over to the giveaway post for all the rest of the warm and fuzzies. Next up, one from our comments section last week, is brought to us by Paul over at The Outdoor Adventure blog. 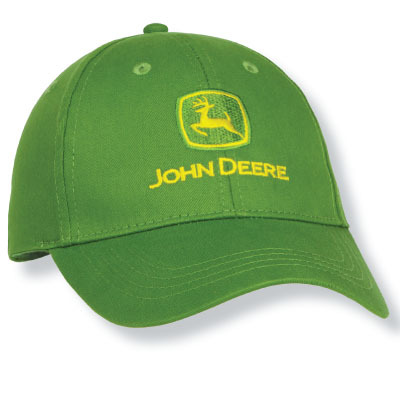 He's teamed up with John Deere, who is in the middle of a sweet giveaway themselves, and has a cool John Deere hat and a pretty sweet flashlight up for grabs. If you cut grass, then you know of the awe and mystique about John Deere, and if you live in the country, you see it everywhere. So get in on this giveaway before December 14th. Head over to the giveaway post for all the details on how to enter. While you are at it you might even check out John Deere's giveaway, someone is going to win an Airliner RV. Finally on the new giveaway list, I think I missed this one last week, PAHikes.com for their last giveaway of the year of giveaways, they have the Optimus Nova Stove and a 450mL bottle of fuel to get you cooking in the backcountry. Head over to their giveaway post to get entered. You have until the end of the month. Also, don't forget to keep your eyes peeled to Hendrik's Hiking in Finland Christmas Advent Calendar giveaways. He is on door number 9 today and has already given away a bunch of sweet gear. I might win something before the season is out. Additionally, don't forget to swing by Outdoor Informer to get that daily entry in for their Hyland and Pop Outerwear giveaway package.